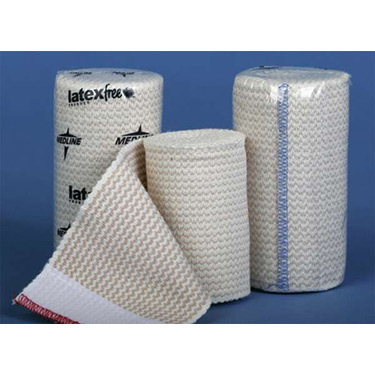 Matrix Elastic Bandages are our finest elastic bandages, prefect for low compression situations. These bandages are made of a polyester/cotton weave that provides excellent elasticity and strength. These bandages are non-sterile, latex-free, white in color, and use a velcro closure system. They are available in several different sizes.